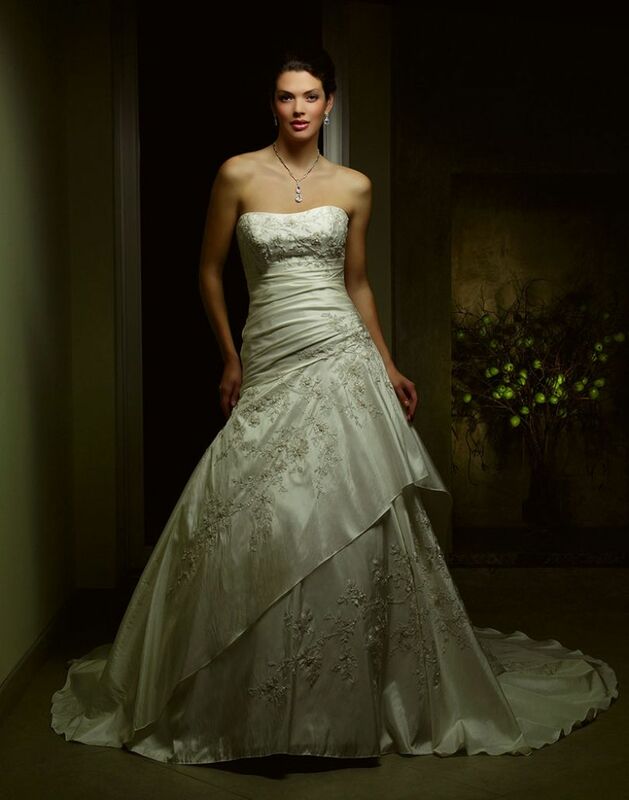 Strapless bodice is decorated with beaded lace to accentuate gathers at the asymmetrical waistline. Clever diagonal layers on the skirt are also covered with lovely floral lace. 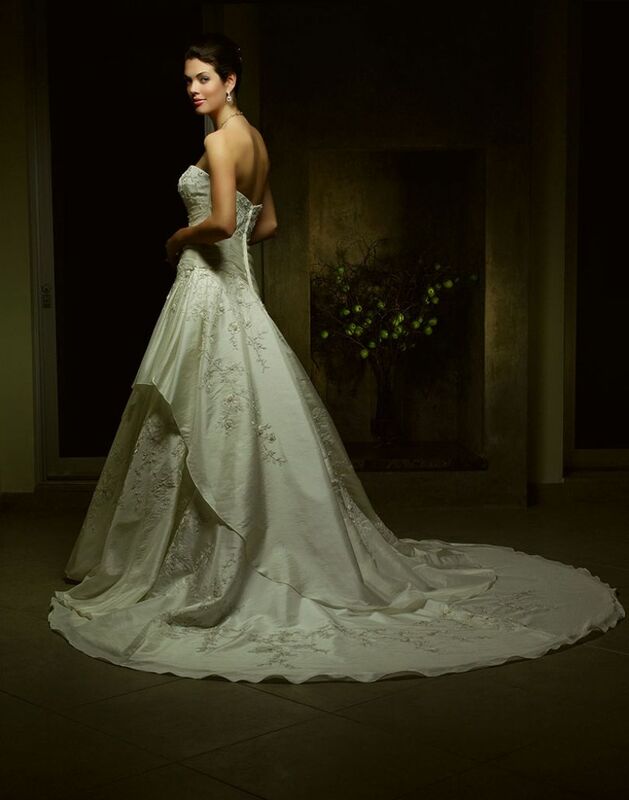 Semi-cathedral train completes the dramatic look of this gown.